The details in that new section of the show building are interesting. Those two beams lower down the walls look like what you would use for an overhead crane. The day we see them refilling the ROA is going to be a great moment like getting your cast off after a long recovery. Has anyone heard of they are still on schedule for a May/June reopening of ROA And DLRR? Nothing solid in terms of reopening dates yet. I suspect we'll get an announcement on reopening dates for everything either next month or the first few weeks of May. 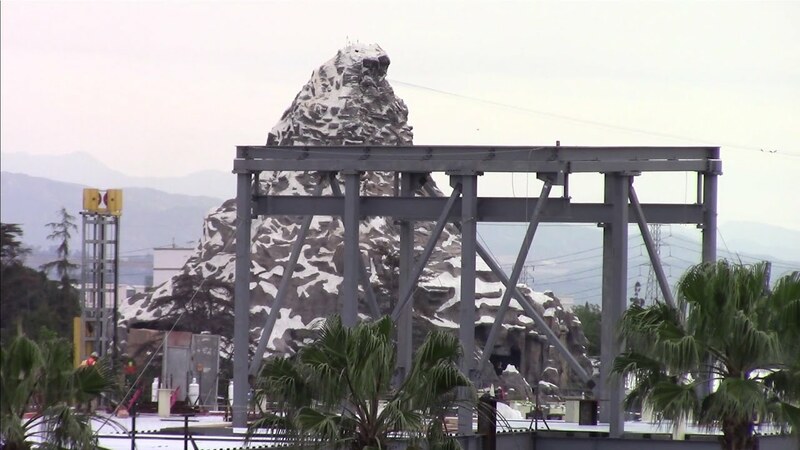 SILA posted some more video tonite from inside the park and also showing the Hungry Bear area from the parking structure. 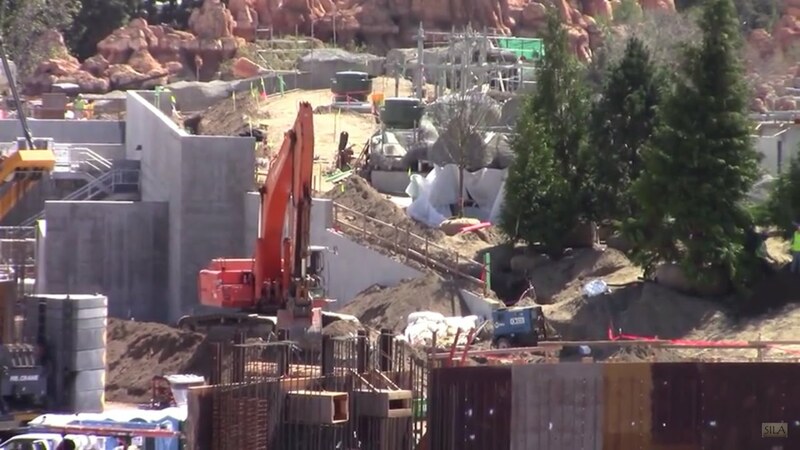 Here's another SILA video also from 3/21/17, this one is of the big show building and tree planting on the berm between ROA and SWL. Yeah I am still puzzled as to what is going on with using so much steal I-Beams within the main structure I predict a lot of hanging items from walls and ceilings. The floor below it is the roof of the main structure, I think. It is sloped, with a peak in the center of the roof, to allow rain to drain. I believe the structure is just support for the coming rock work, which in the concept art are very tall spires in some places, that would require a solid base. Or it could be the structure necessary to hold a large HVAC unit. I bet that you're right about it being a frame to hold not only the rockwork above but an AC unit (or something similar) from within. Those short 'tracks' have to be used for something to slid in on. 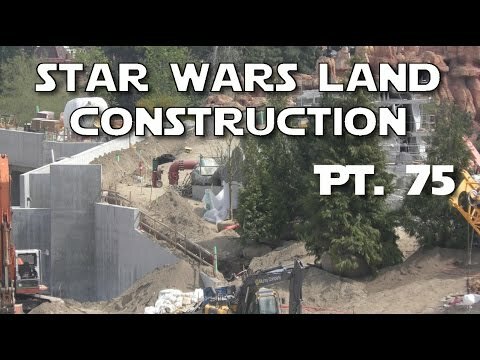 Some behind the scenes shots of Star Wars Land. This dude must be a construction worker or something. Holy cats! That building in the back is HUGE!!! You really can't tell from the parking structure views. Wow. Thanks for posting. I hope this guy doesn't get in trouble. Couple new SILA videos from today, here's one. Lots to see. Based on his position, he's on the SW corner of the top of the TDA parking garage. He changes positions several times if you watch through the whole thing. He's actually on construction ground a couple of times. Not the parking garage. 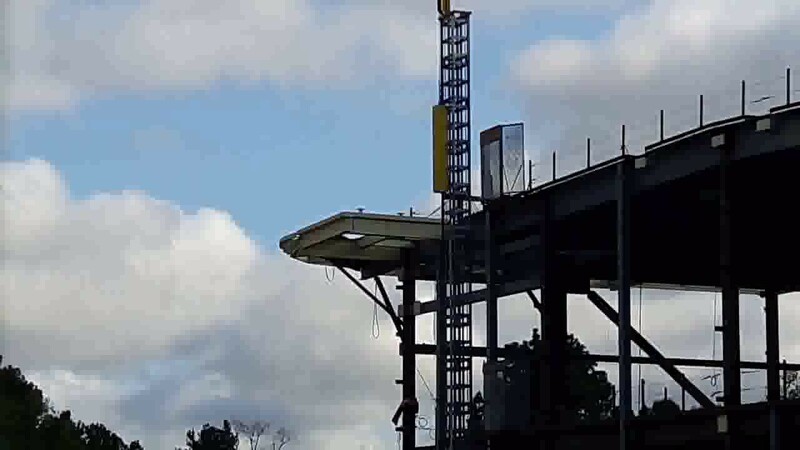 Probably a welder or plumber that is wrapping up their contract or portion of the project and knew they would not be around much longer so fear of being pulled off the job was no longer there. Some of these workers come in from out of state on multi week contracts. He's not. Up until 2:50 he's on the TDA parking garage. Looking on Google maps it's very clear. (Go to 2:25 - 2:27 and confirm it with the image below). Then after that he moves to the sidewalk along Disneyland Drive looking though the fencing. I've been watching his vids for a while and he's known to take footage from there. You can even occasionally see as he shifts around the blurred close ups of the fencing on the edge of the frame (pause it on 6:50 for example). He's just zoomed in so it looks like he's closer. Good call. You're probably right. Fresh Baked has a new video from 3/25/17 with some good stuff. The steel structure for the Battle Escape building is expanding westward. 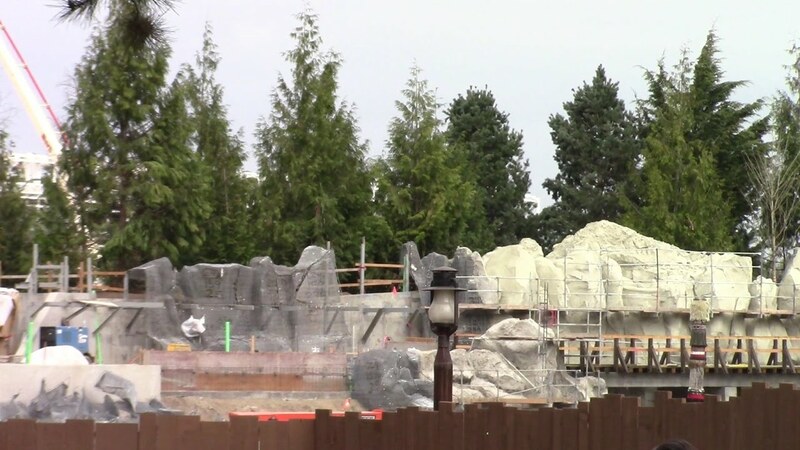 There is now another 'row' of horizontal and vertical steel, this side of the AT-ATs. Still no roof on a lot of it, though. I re-read my post and realized it came across as kinda brash. I apologize for that. Obviously I don't know anything for sure....just tried to use some deductive reasoning based on what I was seeing in the video. I've been following "mo short clips" for several months now, and he's done a lot of filming from the sidewalk just outside of the property. This is the first time he's been at that parking structure. I'm curious how he gained access. And, THAT's only the HALF of it (the two-story half). Wait until they get to rest of the building and the BIG steel starts showing up. This short video was posted by mo short clips yesterday. He's taking these from more different angles.